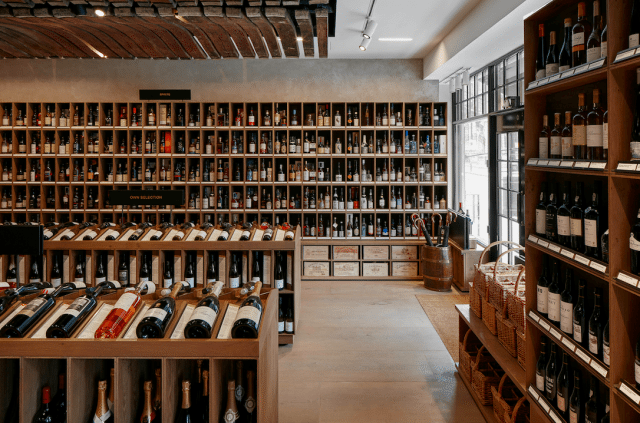 Berry Bros & Rudd has opened a new flagship London shop in St James’s complete with Enomatic sampling machines and shelving for more than 1,000 wines and spirits. The store can be found within existing Berry Bros office space at number 63 Pall Mall, which is almost directly opposite the private members’ wine club, 67 Pall Mall. 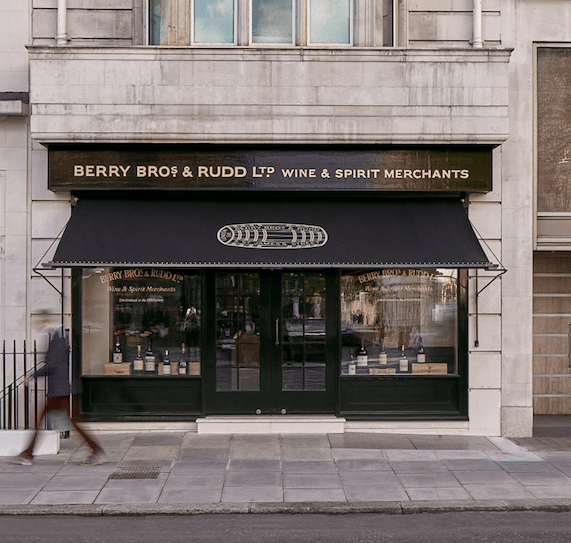 Speaking to the drinks business ahead of the official opening of the new shop today, Dan Jago, CEO of Berry’s Bros & Rudd, said that the site at 63 Pall Mall would be bigger and better than the existing London store for the wines and spirits merchant, which can be found at No.3 St James’s Street. “No.3 is going back to what it was – which is a place for welcoming customers – and our new shop will be larger and much more finely attuned to modern retail,” said Jago. Acknowledging its excellent position across the street from 67 Pall Mall, which has become a mecca for wine lovers, he said that the new shop’s location “was entirely by accident”, adding that Berry Bros & Rudd already owned the building at 63 Pall Mall, which had previously been rented for use as office space. Jago recorded that Berry Bros had bought the property using the proceeds from the sale of its Scotch brand Cutty Sark, which was bought by The Edrington Group in 2010. This ensures that the merchant “doesn’t pay rent” on the site, said Jago. He also told db that the idea to open a new Berry’s shop was his own, but said that the design of the new retail space has been managed by Geordie Willis – who is an eighth generation Berry family member. Jago described the shop as “a wonderful space that completely reflects the Berry’s brand”, which, he added, “Is one foot in the past and one foot in the future”. • Located at 63 Pall Mall, the new shop is positioned opposite St James’s Palace and Private Members Club, 67 Pall Mall. • In addition to its main entrance on Pall Mall, the shop can be accessed directly from the existing shop at No.3 St James’s Street, as well as via Berry Bros. & Rudd’s town house on Pickering Place. 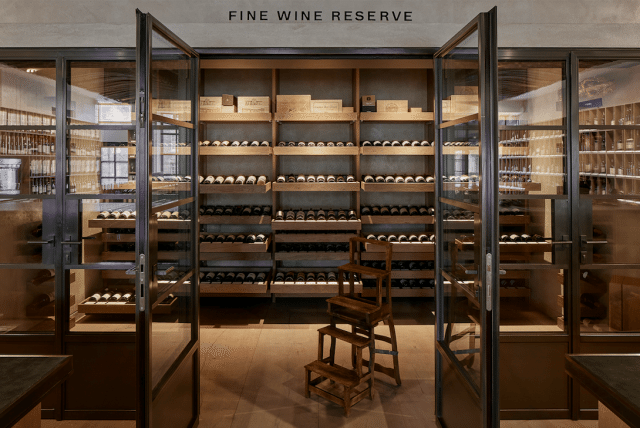 • 63 Pall Mall will contain over 1,000 wines and spirits on display, a 300-strong ‘fine wine reserve’ and a rotating selection of 24 products available on Enomatic machines for sampling. • The shop opening hours remain the same; Monday to Friday, 10am – 9m and Saturday 10am – 5pm. • Berry Bros. & Rudd creative director Geordie Willis has worked closely with architect and design specialists Mowat & Company to create the new retail space. • Among the features of the interior are staves from 100-year-old French wine barrels, which line the ceiling. It has been such a wonderful experience working on this project. Thank you Dan, thank you Geordie and thank you to BBR’s customers for your response on day one. Alex Mowat.